Since its inception, there has been a continuous evolution of the film industry in Texas and how it works. Early in the 1990s, a favorable currency exchange rate and lucrative government tax incentives lured film production from the United States to Canada. That migration north spurred other countries and states to develop their own film incentive programs, and with more than 300 accredited film commissions representing those locales, vying for production dollars became increasingly more competitive. Film incentives remain a driving factor in determining where a film is ultimately produced. Domestically, 2018 finds 31 states with varying forms of film incentives. Most notably, and within the Texas competitive set, are New Mexico, Louisiana and Georgia. Thanks to Georgia’s generous incentives and expanding infrastructure, the state has grown into the third-largest production center in the U.S. Qualifying projects are eligible for up to 30 percent transferable tax credit on in-state spending and the program has no financial cap or sunset clause. Currently, the Texas program pales by comparison. Texas has a long and remarkably varied film history. Integral to that history are numerous iconic and critically acclaimed films shot in Houston. A sampling of those films includes: Hellfighters, Urban Cowboy, Terms of Endearment, Evening Star, Reality Bites, Rushmore, Apollo 13, Space Cowboys, Boyhood, and more. It’s important to note that the economic benefits of film production are not limited to feature films. Television series, documentaries, industrials, music videos and commercial production are all attracted to locations that offer some form of incentives. We, as Texans, are at a production crossroad. Do we support an industry that has helped to tell the story of Texas and define who we are on the global stage, or do we allow others to tell that story for us? Do we keep our long-established crew base, talent and support services in Texas or allow other states to lure them away? The 86th legislative session that begins in January will lay the groundwork for the success or failure of future film production in Texas. The dollar amount legislators have allotted to fund the Texas Moving Image Industry Incentive Program has vacillated substantially since 2013. In 2013, the allotment was $95 million, then it dropped to $32 million in 2015, and dropped again to $22 million in 2017. Since legislators meet every two years, that $22 million equates to $11 million annually for 2017 and 2018. It’s vitally important to the health of the deep-rooted Texas film industry to have a more competitive incentive program emerge from next year’s legislative session: On-location film production is simply good business. 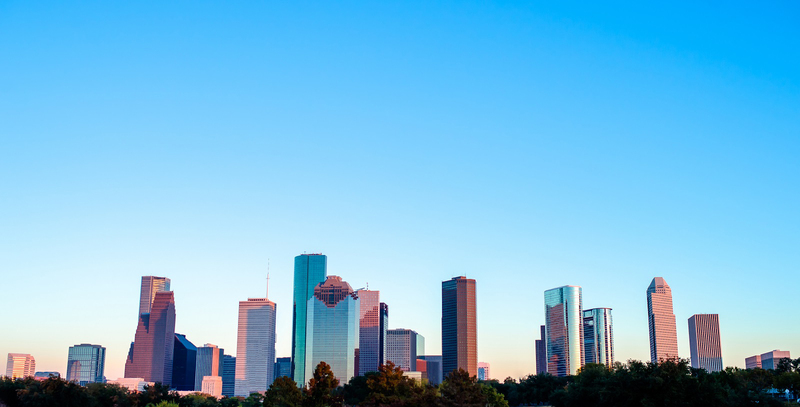 The Houston Film Commission attracts and facilitates incoming film and commercial projects, while also supporting the professionalism and expansion of our local film industry. The commission, now a department within the Houston First Corporation, was established in 1987 as a division of the Greater Houston Convention & Visitors Bureau to promote Houston and surrounding areas as a location for film and commercial production, which is defined as TV series, commercials, industrials, feature films, music videos and still photography shoots.